How stress impacts visual attention? Previous studies have obtained contradictory conclusions: Some report that stress narrows attentional focus; others that it causes a broadening of attention. In a series of experiments we tested the effect of acute stress on a visual search task and showed that i) under acute stress participants are more efficient at finding the target object (faster search times, preserved accuracy); ii) not all type of search are impacted by stress; iii) result support the proposal of a broadening of the spotlight of attention. Ideomotor actions are movements or behaviours that are unconsciously initiated, usually without an accompanying sense of conscious control. We investigated whether such actions could express implicit long‐term semantic memory, which is not available to conscious recall. We compared the accuracy of answers to yes / no questions using two different response modalities: volitional report and ideomotor response (Ouija board response). Results showed that when participants believed they knew an answer, responses in the two modalities were similar, with accuracies that were much the same (average: 64%) In contrast, when participants believed they were guessing, accuracy fell to chance for volitional report (50%), but remained significantly higher for Ouija response (65%); similarity of responses was also reduced. Several control conditions ruled out various explanations in terms of properties of the task itself. Instead, these results suggest that implicit semantic memory can be expressed through ideomotor actions, possibly via a nonconscious "zombie" system able to control motor actions when conscious override is removed. 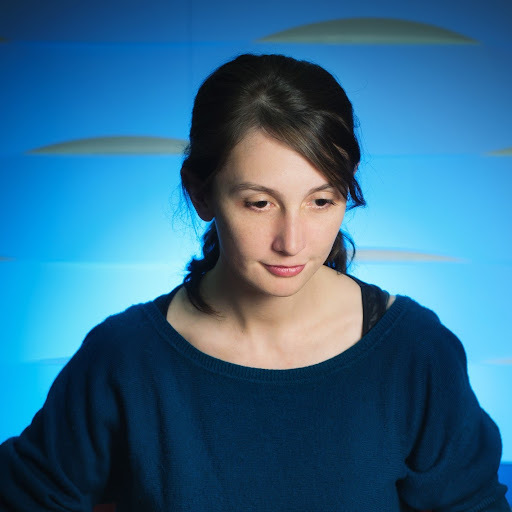 Helene Gauchou is a Postdoctoral fellow at the UBC Visual Cognition Lab (viscoglab.psych.ubc.ca). The UBC Visual Cognition Lab investigates visual intelligence and explores both the mechanisms underlying that intelligence and the ways in which this knowledge can help with the design of effective visual displays. Helene Gauchou came to UBC from Paris 5 University (LPP) after she completed her PhD on visual short term memory. Her current work focuses on the interaction between emotion and cognition (stress state, flow state) as well as on the distinction between implicit/explicit cognition. At the Visual Cognition Lab she developed three main research topics: The effect of stress on visual perception; the use of ideomotor actions as way to study implicit cognition; the physiological signature of flow states.